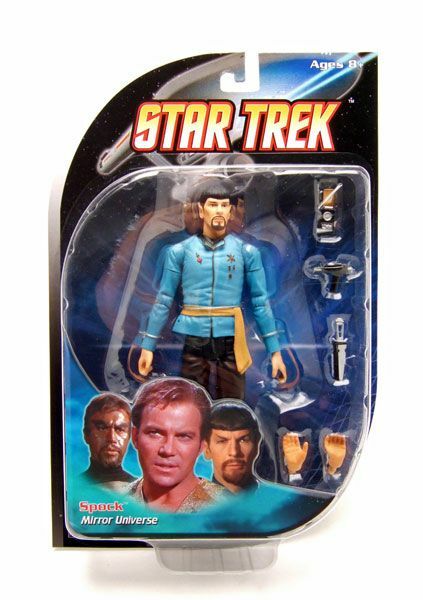 DST released this Spock on their new "universal branding" Star Trek packaging. The Rundown: So I found a couple of the new figures this morning at my local Toys R Us (which I'm stuck haunting for awhile since TRU.com was nice enough to cancel my Kang preorder...grrrr). They had 2 Spocks and 1 Kirk left (no Kangs) by the time I arrived. 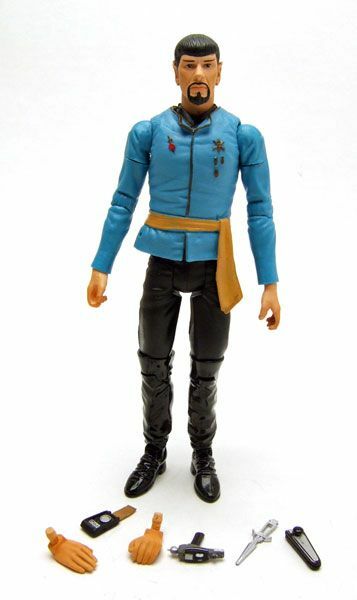 My Kirk has a funky spot on his shoulder, so the spotlight on him will have to wait until I find a better one to open. But like I said, there were 2 Spocks, so you get to take a look at him today! I've previously spotlighted the original AA Mirror Spock here. Since this figure is basically the same except for a few minor tweaks, I'm going to skip the usual breakdown and cut right to the comparisons so you can see what's different on this one. While the heads look pretty much the same at first glance, upon closer inspection you can see a couple of major differences. 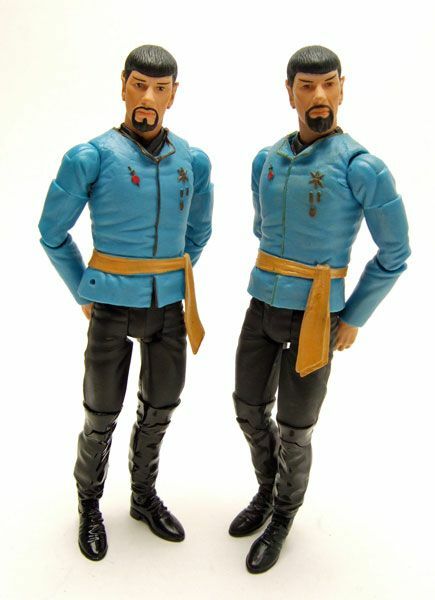 The eyes are much darker here than on the original, the paint for the facial hair has been lessened, and the eyebrows are painted differently. I'm usually a fan of the DST paint revisions, but I don't really like the eyebrow change. 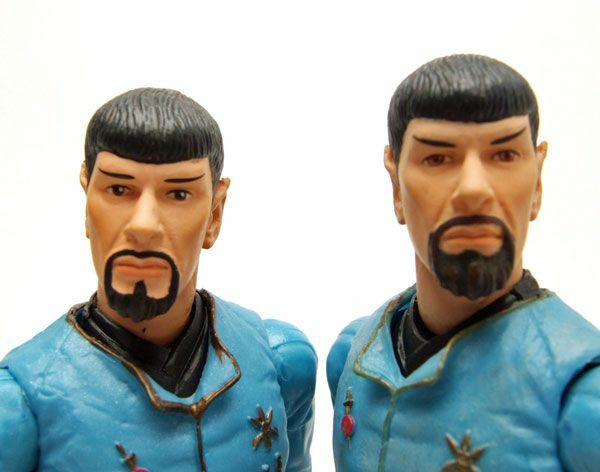 It gives Spock a confused look. And we all know Spock is not confused. The more obvious change is in the shirt. The reissue bulges out at the bottom for some reason and isn't as nicely form-fitting as the first version. The original version had nice thin paint wash over it that gave the shirt a shimmery look. The reissue still has a bit of a shimmer to it, but it looks more like some silver specks were just mixed into the plastic and it's not as noticeable as the original. 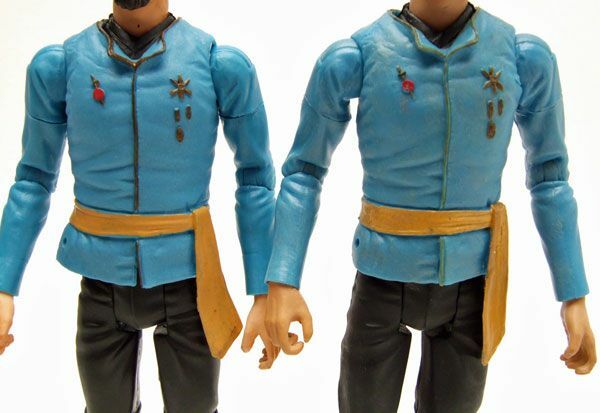 The sash is also painted with a much flatter paint, and lacks the glossy look of the AA release. One thing that is nicer on the reissue is the gold detailing. It seems like all of the DST releases have superior gold paint apps. 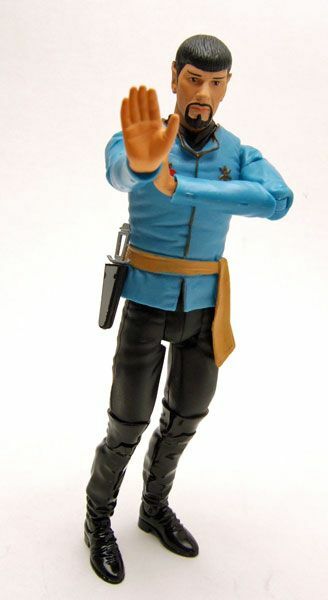 Accessories: This time around, Spock includes the salute hands, a phaser, a communicator, and the mirror dagger with sheath. Nice review. 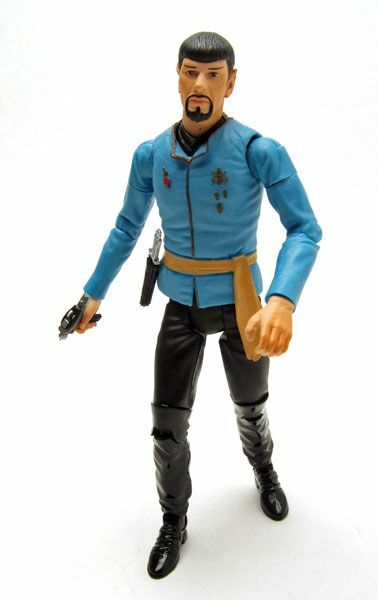 Good luck finding Kang and a better painted MM Kirk. James, great site. 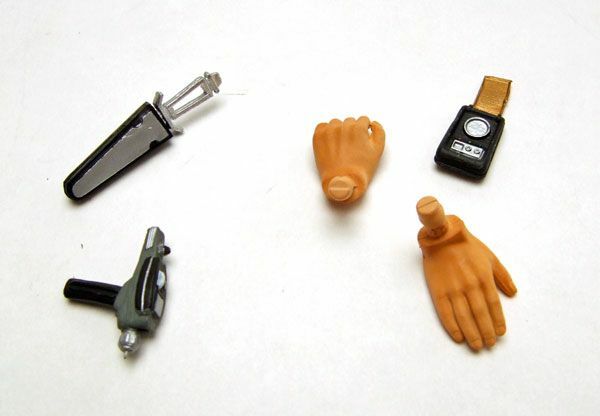 I wish I could afford more of these fun ST items (have to make due with my DST Communicator toy and ST Pez dispensers). As one Trek fan to another I'd like to invite you to check out my blog Bad News From Outer Space, where in addition to sf movie/TV reviews I do TOS fumetti. 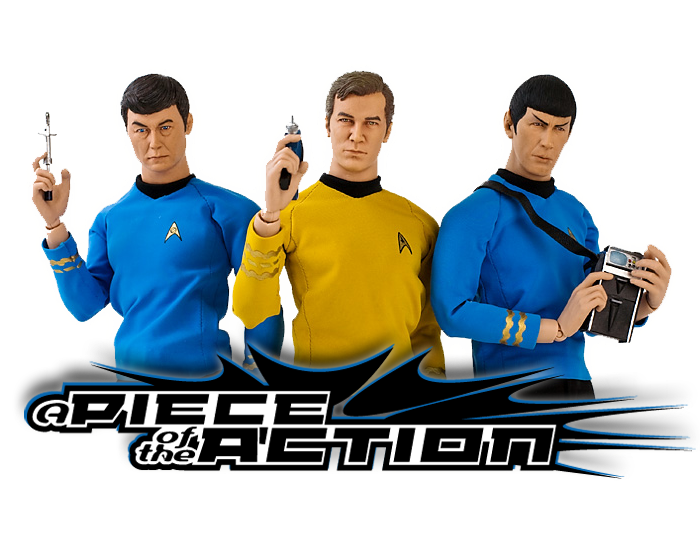 I poke fun of TOS in the spirit of Mystery Science Theater only b/c I love it so much!